Required service in case of metric surveys or rigorous measurements from whatever image sensor and lenses, as well as 360º panoramic photography. 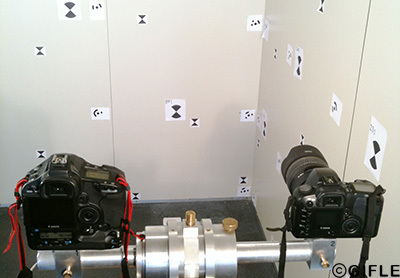 The camera calibration service can be undertaken: 1) on-line sending us your set of imagery; 2) sending us your camera. If you want to deal with different lenses, they will have to be calibrated independently. In case you are using a zoom lens, we might calibrate you both ends. But keep in mind the right focus settings, 1 m, 10 m or infinity. Instruments lacking of systematic errors is imperative in any professional area. Specifically speaking of surveying devices, the geometric calibration process can be defined as the elimination of systematic errors from their angular and range measurements. This fact is generally associated with sending your laser scanner to your manufacturer, and involves several issues: sending the equipment, unavailability of it during the calibration time, ignorance about the approach and last but not least the economic cost. Furthermore, it must be taken into consideration the periodicity for recalibration due to sensitivity of the instrument and the accuracy required by the user. GIFLE suggest the application of a self-calibration mathematical model combined with a statistical model analysis. This approach allows you to obtain a set of additional calibration parameters (internal orientation parameters of the laser scanner) which describe the systematic errors of your time-of-flight laser scanners, either pulse-based or phase-based. The consequent application of such set of calibration parameters on the laser raw data will provide the user error-free point clouds. The geometric calibration will require the materialization and measurement of a reference network. 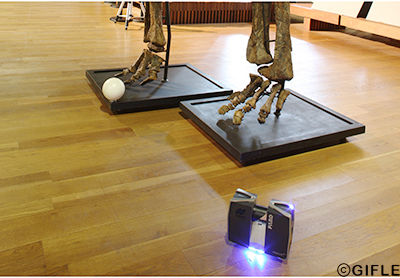 There are two possible ways to carry out the calibration: first, sending us your laser scanning (and we keep going); second, sending us the data files. An appropriate documentation or recording of cultural heritage requires high quality sources of information such as historical texts, graphics, pictures and metric documents, among others. Idem with geomatic applications requiring studies in depth of the site, environment or construction. Our group follows and applies international recommendations that guarantee both the recording task and the acquisition of save and accurate information, combining either photogrammetric, thermographic or topographic surveys. 3D models are used in many civil engineering applications as well as in cultural heritage, medicine and industry. 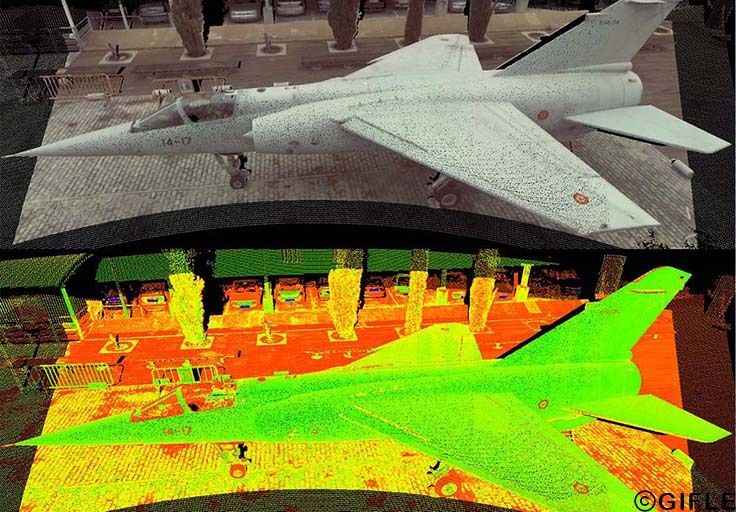 We can offer this service using either image-based and range-based photogrammetric processing. Would you like that we carry out standalone processing? Would you like that we acquire the data and give you the final product? Any suggestion is welcome. 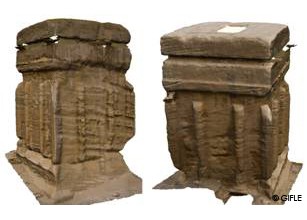 Many applications require perfect virtual replicas of an object, artwork, architectural monument o archaeological site as they were when the data was taken on site. Badly performed virtual replicas with texture in 3D are not always considered for visualization, analysis, inspection and monitoring. 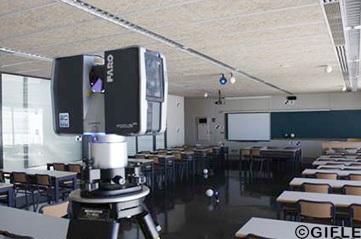 High end photorealistic 3D models require, in addition to appropriate planning and data acquisition, careful processing and efficient management, as well as perfectly calibrated cameras, laser scanning and sensors such as panchromatic, color, multispectral and thermal cameras. 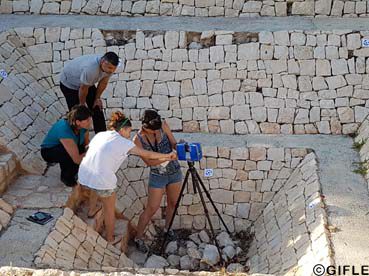 The members of our group are regularly involved in national and international lectures dealing with documentation of cultural heritage, photogrammetry and/or laser scanning, also known as LiDAR, either for terrestrial, aerial or special applications such as underwater archaeology, thermography or multispectral data acquisition.